Travel to this peaceful land and meet resplendently dressed ethnic minorities at the local market, visit neighbouring villages and hike through iridescent rice terraces, witnessing how the current of life has bubbled along here for centuries. 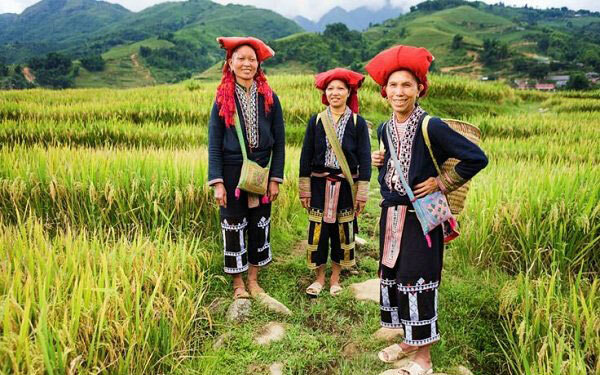 This five-day trekking adventure is full of opportunities to be immersed in traditional hilltribe culture and cuisine, while relishing the striking landscapes of Sapa and its surrounds. 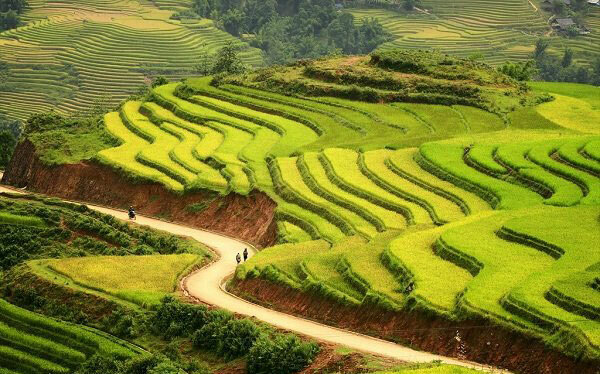 a Pa Tour By Bus - New tour from Hanoi to Sa Pa by Luxury minivan via the highway only takes us 5 hours travelling. Explore and experience Sa Pa by a new highway from Noi Bai – Hanoi – Lao Cai, 245km length. This new road shortens the travel time and distance from Hanoi to Sa Pa. Moreover, you will have chance to admire the beautiful scenery as you travel along the longest highway in Vietnam before enjoining yourself in Sa Pa - where the Heaven meet the Earth. This tour is designed for travelers who want to spend 2 days - 1 night in Sa Pa aiming at: Saving the time, visit the most popular travel sites in Sa Pa, stay overnight in a good hotel to be comfortable. 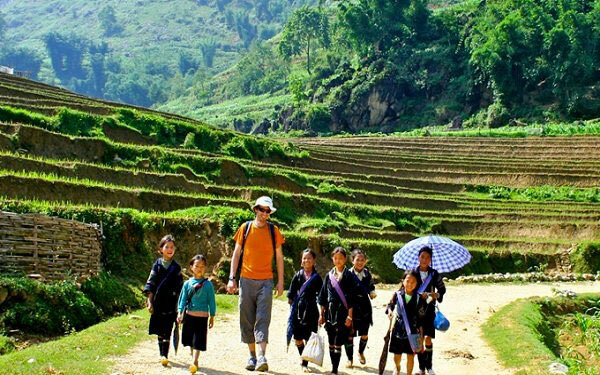 Sapa Trekking 2 days/ 2nights - Homestay is a wonderful tour which will provide you a unique and unforgettable experience. You will have a chance to learn more about the interesting local architecture, to enjoy the gorgeous landscapes and to discover the daily life of the tribal people. Staying with a local family, sharing their home, eating with them and discover the region with them will give you a very different point of view of Sapa. Join us in this superb tour to this magical land! Sa Pa Tour By Bus - New tour from Hanoi to Sa Pa by Luxury minivan via the highway only takes us 5 hours travelling. 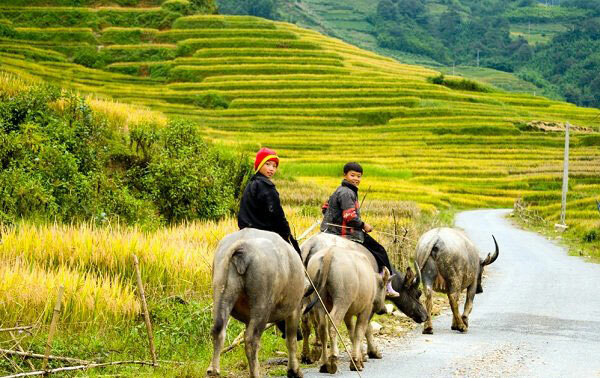 Explore and experience Sa Pa by a new highway from Noi Bai – Hanoi – Lao Cai, 245km length. This new road shortens the travel time and distance from Hanoi to Sa Pa. Moreover, you will have chance to admire the beautiful scenery as you travel along the longest highway in Vietnam before enjoining yourself in Sa Pa - where the Heaven meet the Earth. Nested under the shadow of Fansipan Mountain, Sapa town beautifully sits on a hill top at 1,600m above sea level, viewing over the Muong Hoa valley. Being unknown until 1880s when the French arrived Sapa town, it was quickly became well-known for its natural beauty, fresh and cool climate.